Colegio Karl C. Parrish (KCP), founded in 1938, is a nonprofit, private, non-sectarian elementary and secondary school that is open to children of all nationalities. KCP integrates a bi-national, multi-cultural, and bilingual curriculum (Colombian and American) with the purpose of offering its students a broad scope of the world. Its mission is oriented towards the formation of well-rounded individuals with discerning and creative minds. KCP recognizes the value of every human being and his or her right to liberty, respect and personal development. The school’s purpose is to prepare students to be ethical leaders who are capable of meeting global challenges and of addressing the continuous changes and demands influencing their country and the world. The languages of instruction are English and Spanish. The twenty-two acre campus is located in the city of Barranquilla on Colombia’s northern coast. KCP offers the Reggio Emilia program for pre-K students and Advanced Placement (AP) courses in the high school. Fifty percent of the graduating class goes abroad for university, mainly to the United States and Europe. KCP was founded by families with a strong commitment to quality education. In 1938, a group of Americans and other-country nationals with close personal ties to the United States established what was to become KCP. Multicultural and forward-thinking, they wanted their children to receive a college-preparatory education in a US-type school environment. The school was named for an American mining engineer and businessman named Karl C. Parrish, who contributed generously to his adopted city through the 1920s. KCP soon built a solid reputation for academic excellence, democratic values, social service, and a family-friendly culture. After 80 years, these characteristics continue to make it the school of choice for families in Barranquilla, a city of 1.5 million people. Successful KCP graduates are well-rounded citizens of the world with discerning and creative minds and a broad vision of the possibilities life offers for their own development and that of those around them. They stand out for their intellectual and academic preparation and their support of a just society. They are self-assured and confident in every social and cultural environment. Their academic preparation, sense of values, appreciation of family life, and ability to inspire others prepares them for leadership choices at a global level in universities and beyond. KCP's faculty is made up of approximately 73% Colombian and 27% U.S. or Canadian teachers. Teachers work closely with an Elementary Principal (grades Stem through 5) and a Secondary Principal (grades 6 through 12). They also receive support from a Curriculum Coordinator, Counseling Department consisting of 6 psychologists, Psychometrician, Library/Media Specialist, Optimal Resource Center Specialist and an Early Intervention Specialist. A Community Service Coordinator works with 2 religion teachers to support the teaching of values through service projects at each grade level. A full-time on-site doctor provides health-related care. Operational support comes from 2 secretaries in each principal's office, a Business Manager, who also helps the Director monitor and manage the School budget, and the Heads of Human Resources, Maintenance, Purchasing, Technology, and Treasury. An Admissions Secretary and a Registrar facilitate student application and enrollment and maintain the integrity of student data files and academic records. An Academic Secretary ensures compliance with government regulations related to Colombian Educational Law. The Board of Directors is made up entirely of current school parents, all of whom are KCP alumni, and meets monthly with the Head of School. A Board of Trustees consisting mostly of alumni meets two or three times a year and provides long-term stewardship and oversight. A Directive Council includes elected members of all stakeholder groups and is by law the highest decision-making body in the School. The KCP parent community comprises the most economically successful and well-educated sector of Barranquilla's population. Most are college graduates and hold prominent positions in business and government or as doctors, lawyers, engineers, or in similar professions. Many of them speak English and travel often to the U.S. and other countries on business or vacation. They hold high expectations for their children's future success in a global society. Parents are actively involved in their children's education and are able to provide the resources to help them be successful. There is also a high level of social homogeneity among families as evidenced by the strong ties that unite extended groups of families and friends. They share similar interests and backgrounds, have the same preferences and enjoy a strong sense of belongingness. Children are included in most adult social interactions and thus tend to be more socially mature than their peers in the U.S. which is reflected by their dress and behavior. The school year runs from August to June with a total of 180 school days. The year is divided into two semesters, with exams at the end of each semester. Students attend school from 7:30 a.m. to 2:35 p.m. In grades 9-12, the school day is divided into seven 51-minute periods in a set schedule. The Colombian Bachillerato Program is available to students in grades 7-12, and the American High School, which includes the Advanced Placement Program, is available in grades 9-12. There is no limit placed on the number of AP courses a student can take in a given year. KCP is now in the 4th year of its adoption of a formal Blended Learning education program. The program design is based on best-practice research that has been carried out by Redbird Learning and Stanford University. This program is supported by KCP’s solid technology infrastructure and the BYOL (Bring Your Own Laptop) program for grades 3 through 12. KCP students can partake in a range of sports teams (soccer, basketball, volleyball, softball), student clubs (Model UN, Mu Alpha Theta, National Honor Society), and an active community service program. They participate in field trips, art exhibits, musical performances, holiday festivities, Carnival (a major annual event in Barranquilla), Character Counts! Character education programs, assemblies, and sports competitions. Only 2 ½ hours from Miami, Barranquilla is the Puerto de Oro, the Golden Door to Colombia and the rest of South America. The local culture is puro Latino and offers a Caribbean coastal lifestyle in a bustling city. In less than an hour you can drive from a multiplex theater in a gleaming shopping mall to a sleepy village with dusty unpaved streets. 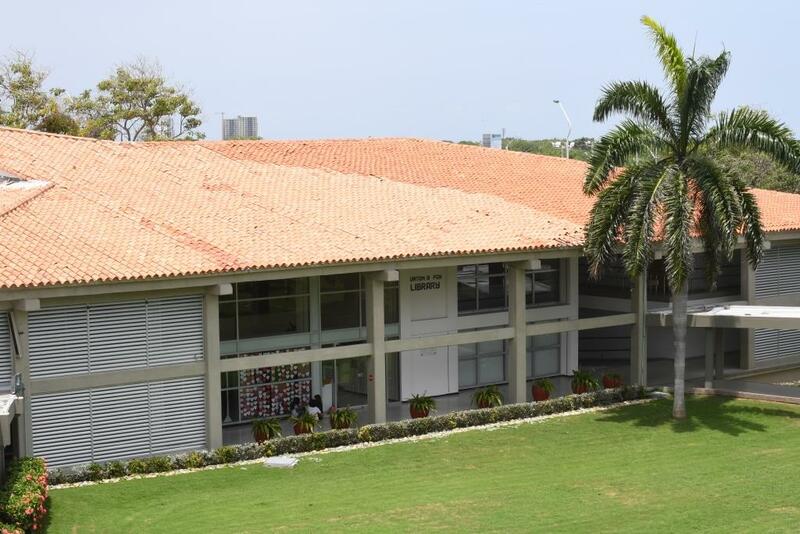 KCP takes pride in its campus environment, located in the north part of Barranquilla. The campus stretches over 22 beautifully landscaped acres. Classroom buildings are connected by covered walkways – a blessing during the rainy season – and overlook various sports fields, shaded areas, and flower-filled gardens. Tropical trees and plants provide food and shelter for a variety of bird species, red squirrels and iguanas. KCP’s 11 air-conditioned buildings house: 45 classrooms; 3 science labs; 3 computer labs; a centrally-located library/media center; 2 conference rooms; 2 outdoor cafeterias; an auditorium; administrative offices; and a recently completed preschool Atelier and Gross Motor building. Sports facilities include 2 soccer fields, a tennis court, 4 basketball courts, a softball field, an open-air gym, and a swimming pool. Construction on a new student center is currently underway, as well as refurbishing of the chemistry and physics labs, with expected completion in the fall of 2019. An indoor gym is also planned and budgeted for. The Head of School reports to the KCP Board of Directors and is responsible for guiding the academic and administrative operations of the school. S/he also works cooperatively and constructively with the Educational Governing Bodies of Colombia, the Governing Body of AdvancED, and the Parent Council of the KCP Community. To effectively lead the administrative and academic personnel at KCP. To develop, coordinate and implement the annual budget for the school. To ensure that the school campus is safe and secure for both students and staff, and meets the needs of the programs offered. To organize the professional development of KCP faculty and staff through innovative measures, benchmarking strategies, and a best practice approach. To oversee the finalization, implementation and progress of the strategic plan. The next Head of School at KCP will take over leadership at a pivotal point in the school’s journey. KCP rests comfortably in a reputation built and nurtured over 80 years. It enjoys solid academic success, a supportive community and alumni base, long-serving and loyal staff members, and a sound financial status. The next Head of School will inherit this strong foundation and have the opportunity to lead the school community in creating and implementing a vision for the school’s next phase: one that is true to the school’s legacy yet not inhibited by tradition. The new leader will have the full backing of the Board of Directors to re-invigorate the school community in pursuit of a dynamic future. The Board of Directors of KCP has appointed Search Associates to act as consultant in the search process for the new Head of School. The deadline for applications is May 8, 2019. Applications will be reviewed by Search Associates as they are received and dossiers of selected candidates will be forwarded to the KCP Search Committee on a rolling basis. It is anticipated that finalists will be identified and the candidate(s) together with his/her spouse if applicable will be invited to Barranquilla for final interviews at the end of September 2019. Candidates should note, however, that in the event an outstanding applicant is identified early in the search process, KCP reserves the right to make an appointment early in the search process, even before the published deadline. For this reason, it is important that interested candidates apply as soon as possible.